I'd like to install a LAMP stack on my laptop in order to be able to locally develop PHP websites. However, since my computer is a laptop, and since I don't always need having apache and MySQL server running, I'd like to setup a simple way to start and stop the LAMP stack when I need it. What method do you suggest to achieve that? Disable apache and mysql daemons and start / stop them when needed? Install LAMP stack on a virtual machine and share the network with the host to access the developed websites? 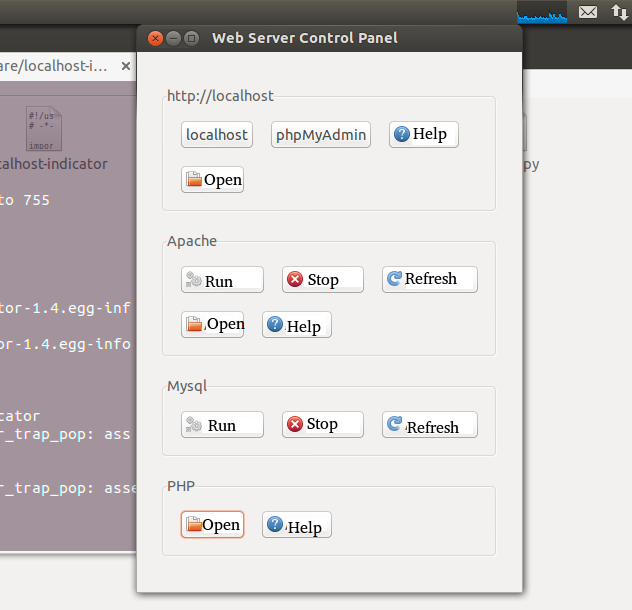 edit the apache and php configuration. Not the answer you're looking for? Browse other questions tagged laptop lamp or ask your own question. How to setup LAMP environment?